This is it, the moment all you runners and walkers have been waiting for. We are excited to officially unveil that the Tailwind Regional Balloon Fest will be accompanied by a 5k Glow Run again this year on May 17th. After the balloons fade out Friday night, it will be your turn to turn on the glow. The course will begin on the west side of the First Monday grounds near the bandstand about 9:00 p.m. This will be an exciting event with the unique twist of glowing and running in the dark. 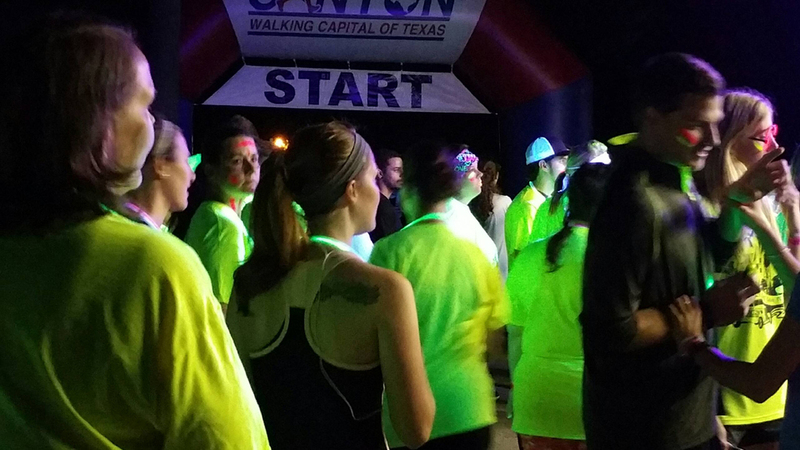 There will be glow stations throughout the course where runners will wear reflective t-shirts and accessories that comes alive under the black lights. The 5k is free; however it will cost $10 per carload to enter the festival grounds, so be sure to come early to enjoy the festival, concert and Balloon Glow. 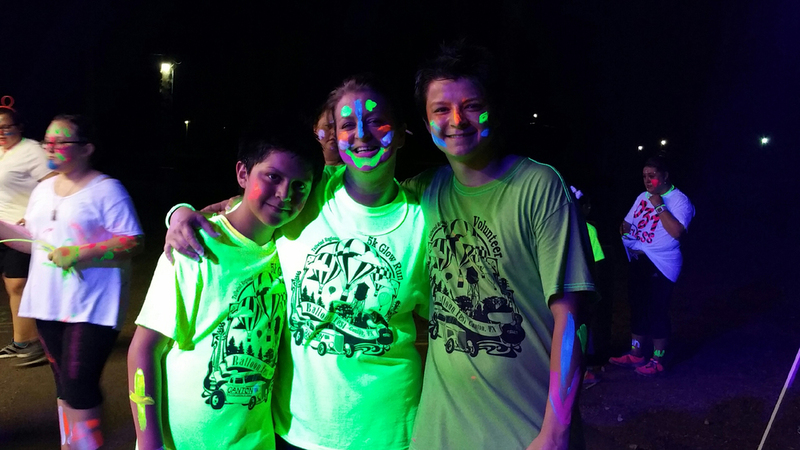 If you’d like a neon-colored 5k Glow Run t-shirt, the cost is $15. You may purchase t-shirts and sign-up in advance in order to skip the line. Go here to register for the 5k and for more information on the festival itself. Come early to “war paint” your face and limbs and of course experience the festival.